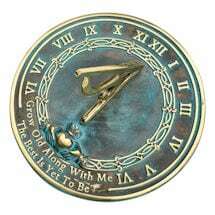 Time passes more slowly on a sundial. 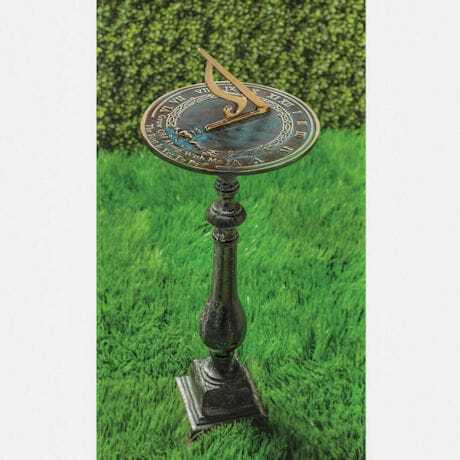 A traditional gift for a wedding or anniversary, solid brass sundial (XB9622 -sold separately) features raised Roman numerals, a ring of Celtic knots, and a Claddagh symbolizing love, loyalty, and friendship. A comforting motto reads "Grow old along with me/The best is yet to be." 10" diameter, verdigris finish. 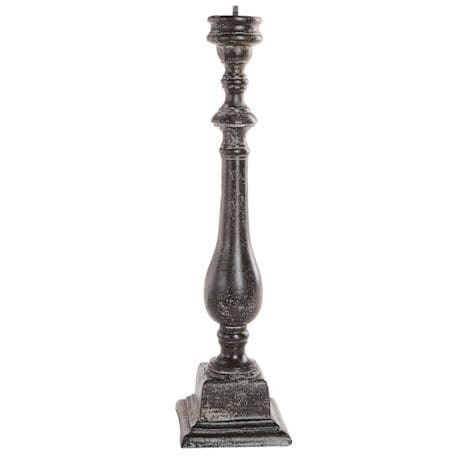 Spindle-style pedestal (XB9632) is cast aluminum with antique painted finish. 22" high. Sold separately. Item can only be shipped within the Continental US.